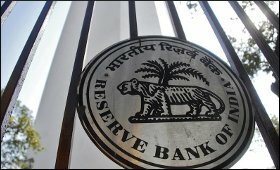 The Reserve Bank of India (RBI) on Wednesday kept its key lending rate for commercial banks unchanged at 6.5 per cent for the second time in succession. On the basis of an assessment of the current and evolving macroeconomic situation at its meeting today, the Monetary Policy Committee (MPC) decided to keep the policy repo rate under the liquidity adjustment facility (LAF) unchanged at 6.5 per cent, the RBI said in a statement. Consequently, the reverse repo rate under the LAF remains at 6.25 per cent, and the marginal standing facility (MSF) rate and the Bank Rate at 6.75 per cent, it added. Since the last MPC meeting in October 2018, global economic activity has shown increasing signs of weakness on rising trade tensions, the bank said. Economic activity also decelerated in major emerging market economies (EMEs) in Q3, it added. However, the bank viewed Crude oil prices have declined sharply, reflecting higher supplies and easing of geo-political tensions. As per the review statement, based on an overall assessment, GDP growth for 2018-19 has been projected at 7.4 per cent (7.2-7.3 per cent in H2) as in the October policy, and for H1:2019-20 at 7.5 per cent, "with risks somewhat to the downside". In addition, the RBI's decision subdued the two key equity indices -- S&P BSE Sensex and NSE Nifty50 -- which traded in the red just minutes after the monetary policy review statement was released.